Over the last few years, meal prep and delivery services have taken households by storm. These services greatly simplify the cooking experience and eliminate the need to hit the grocery store or prep the ingredients. But, there’s tons of competition in the meal delivery space, and if you’re a first timer, it’s virtually impossible to get a handle on which service is best for you. Today, we’re going to cover Sun Basket, their benefits, and our experience cooking their meals to help you decide if they’re a good fit for your needs. Sun Basket is a meal prep and delivery service founded by Adam Zbar and Justine Kelley in San Francisco in 2014. Since then, they’re continued to grow by offering people delicious and easy to prepare meals that are all responsibility sourced and sustainably packaged. Each week, Sun Basket offers you a choice of eighteen different chef-inspired meals that are delivered to your door. Their selections run the gamut from American classics to delicious dishes from other cultures. Meal plans are available for families of 2, 3, or 4, and each meal prices out to $10.99-11.99 per serving, depending on the plan you select. 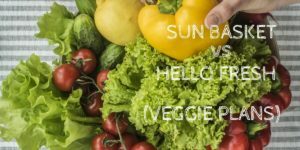 The Benefits of Sun Basket? Sun Basket provides a broad range of benefits that are delighting their customers throughout the country. For starters, the biggest benefit of any meal delivery service is the time you’ll save. These services eliminate the need to go to the grocery store, shop for products, and wait on a long line to check out. They also eliminate all of the prep work from cooking. All you’ll need to do is read the recipes and do the cooking. What once may have been a two-hour production will now take around a half an hour, freeing you up and allowing you to spend more time on yourself and what makes you happy. Making changes is also especially easy with Sun Basket. Through their website or their mobile app, you can make your selections for the week, make any changes necessary for your plan, and even skip weeks for when you’re going on vacation or just don’t feel like cooking. Sun Basket does a great job of working around your needs and schedule, which is another big benefit. Another major benefit of Sun Basket is they make it much easier for you to control the things you’re putting into your body. They strive to use 100% organic ingredients, and presently over 99% of the ingredients they use are organic. The meat and dairy used in their recipes are all responsibly raised by sustainable farmers. The seafood they use is all wild-caught by fisherman using low impact fishing methods that are certified by the Marine Stewardship Council, and all their seafood is rated either best choice or good alternative from the Monterey Bay Aquarium Society Seafood Watch program. Sun Basket also makes it easy to adhere to a specific dietary regimen. 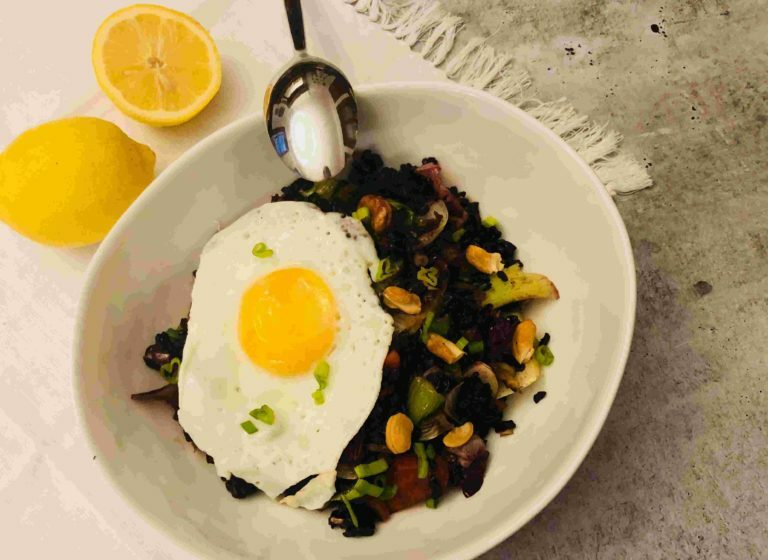 Whether you’re doing keto, paleo, gluten-free, or looking for a lean or heart-healthy diet, Sun Basket has plenty of recipe options that meet the needs of your diet, while also tasting delicious. Finally, Sun Basket makes it easy for you to feel good about each step of their process. Not only do they use organic and USDA certified meats and produce in almost all cases, but they also use recyclable and biodegradable packaging, and they work closely with Feeding America and local food banks to give back to the communities they serve. With all the hype surrounding Sun Basket, we had to give it a shot to see if their offerings are all they’re cracked up to be. One of the first things we noticed about Sun Basket was how easy they make it for people with specific dietary needs. They have options for paleo, keto, gluten-free, and virtually everything in between, which is something we appreciated. Everything arrived quickly and well packaged, with easy to read ingredient labels and easy to follow instructions on how to prepare each meal. While we enjoyed everything we tried, there were a few standouts in particular that left us begging for more. 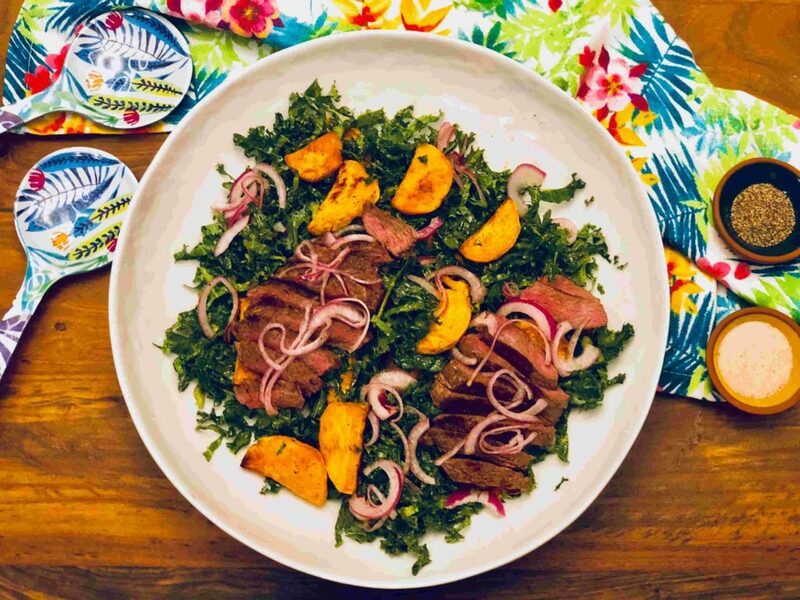 Their simple steak and roasted sweet potato dinner were beyond delicious, and incredibly easy to prepare. This dish was super straight forward; we’re talking about steak and potatoes here. But, the sweet and smoky scallion-ginger relish elevated the whole dish to new heights and introduced some perfectly paired flavors we weren’t used to. Another dish we loved was the Thai chicken lettuce cups, which were delicious, healthy, and came together in a snap. In just over 20 minutes from start to finish, this tasty dish was ready to eat. All we had to do was season and prepare the chicken, and spoon it into the lettuce cups with a bit of pickled red onion, roast cashew, lime juice, and a dash of their house-made spicy sauce. Clean up was a breeze, too. This is a menu item we’ll certainly be enjoying again the next time it returns to the menu. We also enjoyed the sesame-crusted salmon with scallions, as well. I was particularly impressed by the quality of the wild-caught skin-on salmon filets that were provided, and they paired beautifully with the roasted carrot and Asian pear salad that accompanied the meal. This one came together quickly as well and took about 30 minutes from box to plate to prepare. 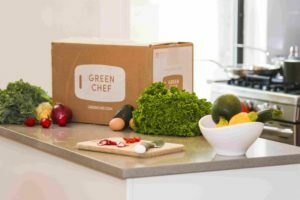 When it comes to meal kits, few companies are making food that’s as delicious as the offerings from Sun Basket, and even fewer can make delicious food that’s sustainably sourced, organic, and earth-friendly. 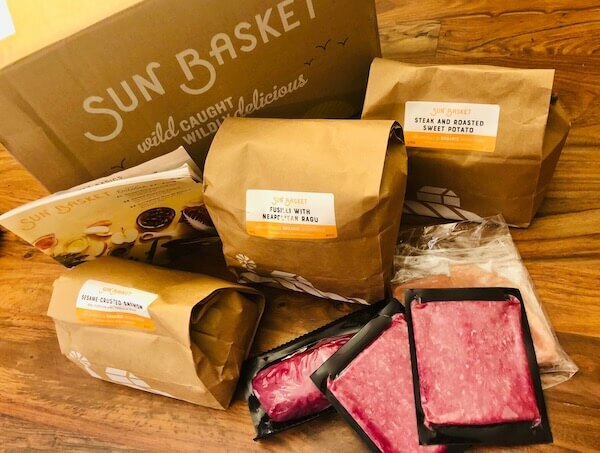 Plus, Sun Basket does an amazing job at offering delicious options to people whose diets have excluded them from trying other meal kit services in the past. 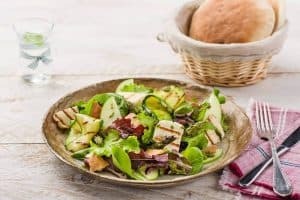 The food is delicious, and Sun Basket seems like a company that you can feel comfortable with since they appear to have the best interests of the earth as well as their customers in mind with everything they do.